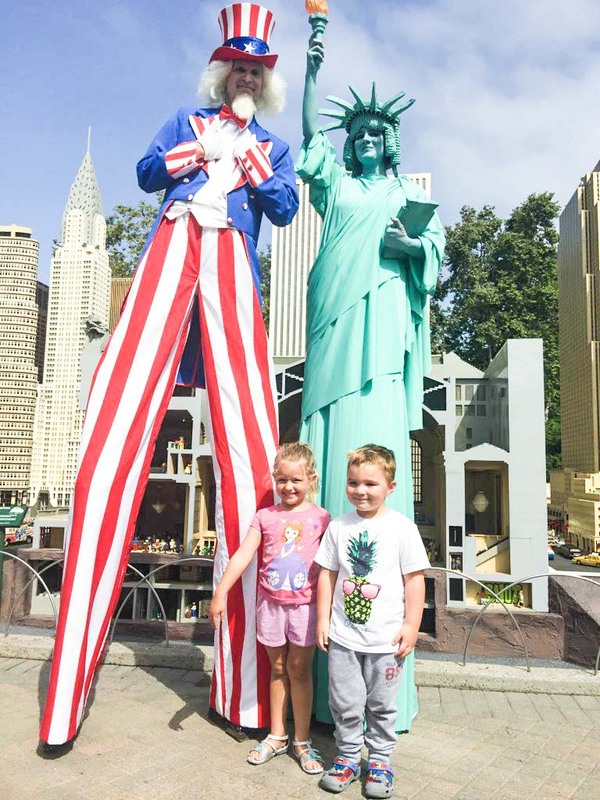 Legoland California recently unveiled the tallest LEGO building in the United Stats just a few days before Independence Day. Athena and I attended the special opening to get us in the July 4th spirit. Accompanied by our best friends, we watched the red, white, and blue confetti rocket through the sky as Legoland California unveiled the One World Trade Center in the newly remodeled Miniland New York, located in the park’s Miniland USA. We always love exploring the park, but it’s such a treat to experience special openings. Athena soaks up the royal treatment yet she’s always appreciative and filled with wonder and excitement. We were greeted with NY bagels and coffee before the national anthem was performed by a brass band and Lady Liberty and Uncle Sam walked on stilts greeting guests. 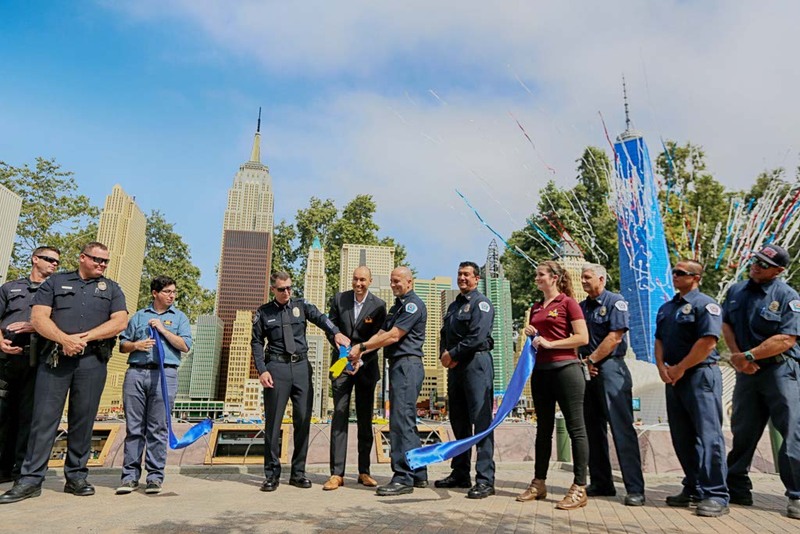 Hometown heroes from the Carlsbad Police Department and Carlsbad Fire Department gathered around the miniature Big Apple as honorary guests Carlsbad Police Chief Neil Gallucci and Carlsbad Fire Chief Michael Calderwood, cut the ribbon officially reopening Miniland New York. The One World Trade Center LEGO model is built with more than 250,000 LEGO bricks, and took eight Master Model Builders more than 1200 hours to build. 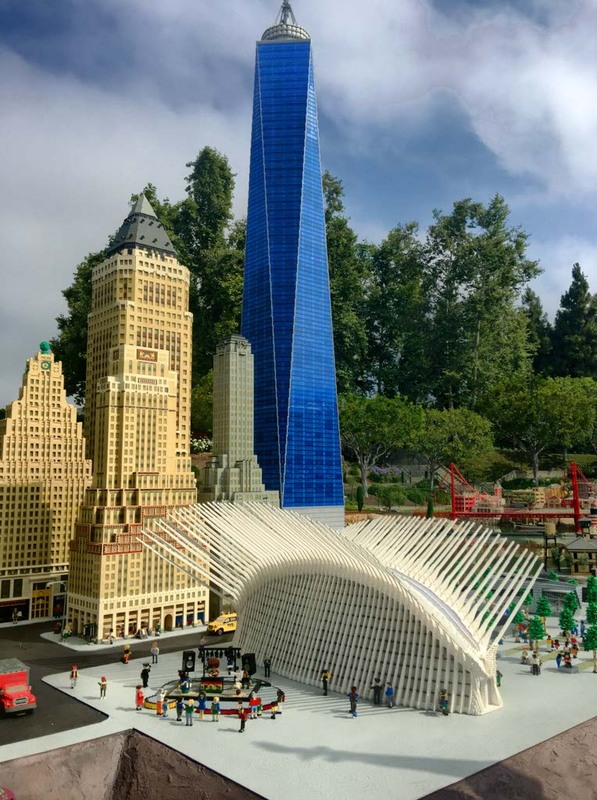 This dynamic structure weighs more than 1,000 pounds and towers at a record breaking 26 feet tall, making it the tallest LEGO model in the U.S. 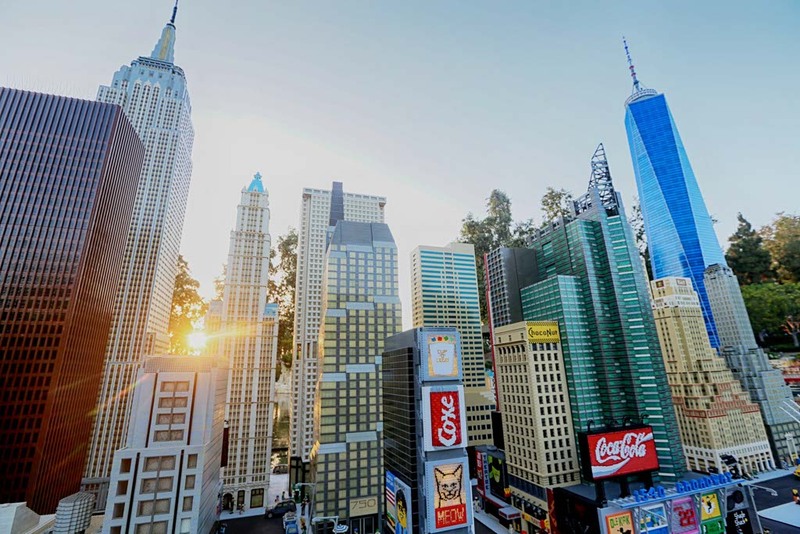 The area also features LEGO model replicas of the 9/11 Memorial’s twin reflecting pools, the grove of memorial trees and the impressive World Trade Center Transportation Hub. After the opening, we spent the rest of the day playing at the park. Seven hours later, she was still smiling and begging for more. She can’t get enough. At only 35 minutes away, I think it’s time we get season passes. Legoland is quickly becoming our favorite park in southern California. 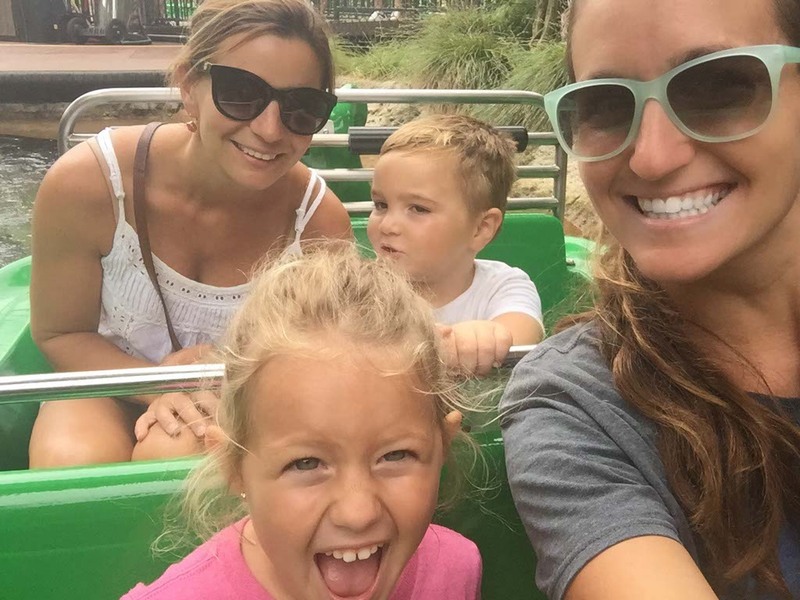 This entry was posted in California, California Entertainment, Family, Family Travel and tagged bucketlist, California, Family, Legoland, Miniland New York, travel by lesleycarter. Bookmark the permalink. Wow, that sure looks impressive. Glad that both of you had fun!!! Looks amazing, Lesley. What a fun day of you all. I have always loved Legoland. It is really amazing. Who would have guessed such things were possible.